Work Happy: What Great Bosses Know Jill Geisler's book for extraordinary leaders and productive, happy workplaces. The Associated Press Stylebook is the go-to reference for teachers, writers and journalists. 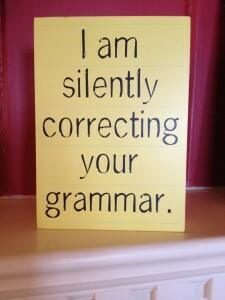 It helps people navigate grammar and usage challenges. It has settled many an argument and more than a few jangled nerves. So, when the AP makes a change, it can be unnerving to those who have all but memorized the Stylebook's guidelines. This week, the AP announced it was now acceptable to use "over" and "more than" interchangeably when it comes to numbers. Previously, the rule was to use only "more than" in relationship to numbers -- as in "She received more than 50 percent of the votes." That led me to reflect on what the ruckus was really all about -- and that's the messiness of managing change. For Poynter.org, I wrote a column about the real story behind the outsized response to a small revision in a community's guidebook. Just click on this link and it will take you to: "And You Thought the AP Ruckus Was about Style." Hope you can apply the lessons to the change you manage in your organization. By the way, the picture is of a plaque I have at home. 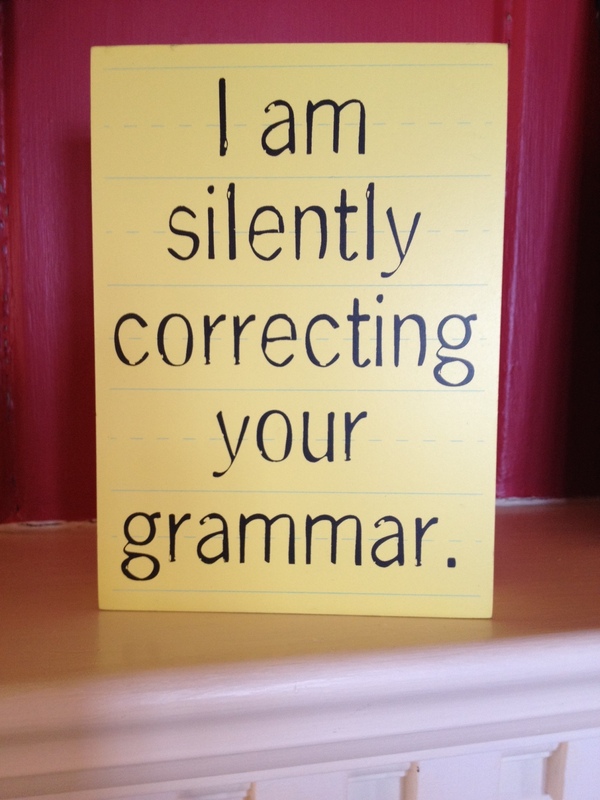 I bought up a dozen of them when I saw them at the store, as gifts for the many people in my world who do exactly what the plaque says -- and not always silently!